FORT KENT, Maine — Although winter has worn out its welcome for many northern Maine residents, there is hope that fair weather will eventually arrive. One sure sign that it will happen is the Fort Kent Recreation Department rolling out information about its spring and summer programming. The rec department is accepting registrations for Little League baseball which is open to boys and girls who have turned 9 years old and are still under 12 years old by Oct. 15. Avery Werntgen sails through the air after leaping from a diving board at the Fort Kent town pool on Thursday, June 29. The registration fee is $25 for Fort Kent residents and $35 for non-residents. The deadline to sign up for Little League is Friday, April 26. Late registrations will not be accepted. 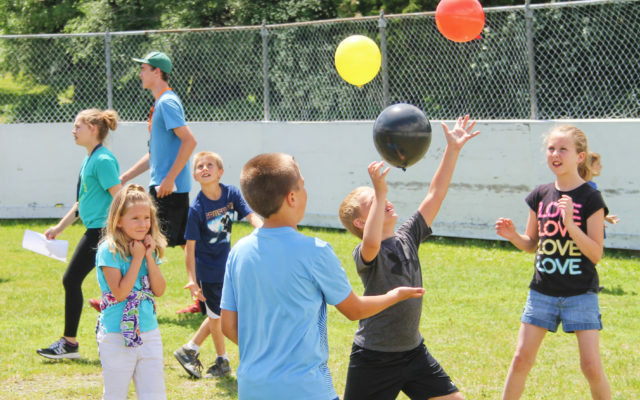 The Fort Kent summer recreation program will begin June 24 with options for children from 3-14 years old. Traditional sports options include tennis, basketball, soccer, kickball and archery. Less physical offerings include arts and crafts, bite size science, board games and a course dedicated to dinosaurs. There also are a variety of specialized programs, including children against bullying, Disney theme park, Olympic fitness and nature exploration. The cost to register is $30 for Fort Kent residents and $40 for non-residents. Each registered child can sign up for as many sessions as he or she desires for that singular fee. Once again, swimming lessons will be available at the Fort Kent town pool and will begin on Monday, July 1. Registration for swimming lessons must be done in person on Tuesday, June 4, although if space is available, registrations will be accepted after that date. The cost for swimming lessons is $25 for Fort Kent residents and $35 for non-residents. The rec department is also seeking employees to staff the summer rec program, be pool lifeguards, and umpire Little League games. Registration forms for all of these programs, and applications and job descriptions are available at the recreation office located in the Fort Kent Municipal Building at 416 West Main Street. For more information about any of these programs, call the rec department at (207) 834-3730.